Of Ed’s contributions at the debate – many of which were very effective – this was one of the weakest. Contrast it with Nicola Sturgeon’s verdict on the Tories’ plan to extend the Right to Buy to 1.3 million housing association tenants. The plan was, Sturgeon said, “‘one of the worst ideas I’ve ever heard… in Scotland we’ve abolished the right to buy. It’s a policy that has had its day”. It was an awkward moment in the debate, in which the manacles of new Labour, holding back Miliband from venturing any real criticism of right-to-buy, could be heard clanking in the background. Such timidity is depressing as Labour has a good story to tell on housing in this campaign: fully costed pledges to ban extortionate letting agents’ fees, introduce three-year tenancies and cap rent rises at inflation; give councils new “use it or lose it” powers to stop developers sitting on land; and create local development corporations to build homes where the private sector has failed to. By contrast the Tory manifesto says: “We will extend the Right to Buy to tenants in Housing Associations to enable more people to buy a home of their own. It is unfair that they should miss out on a right enjoyed by tenants in local authority homes. We will fund the replacement of properties sold under the extended Right to Buy by requiring local authorities to manage their housing assets more efficiently, with the most expensive properties sold off and replaced as they fall vacant. We will also create a Brownfield Fund to unlock homes on brownfield land for additional housing”. It may seem that the difference between the political mood in England (where the right to buy has been made easier by the Tory government thanks to a big increase in discounts), and Wales and Scotland (where the right to buy has been curtailed or abolished entirely) couldn’t be greater. But the Tories’ barmy proposals should be just as unpopular in England as they are in Wales or Scotland. With the number of people renting their homes privately having doubled in the last decade, and levels of home ownership at a 25-year-low, the public mood has really shifted. Pollsters have found that public support for building new, genuinely affordable rented accommodation – as opposed to public subsidy for a lucky few who can afford to buy their rented homes – is rising. People’s support for new home building in their neighbourhood has also risen dramatically: the NIMBY is finally in retreat. Home ownership is no longer the be-all and end-all. The usual election rhetoric about keeping mortgage rates low has zero relevance to the 35% of households who rent their homes, many of whom see their rents spiralling upwards. Many of these people realise they may never be able to own their own home. Making renting more secure and affordable has never been so vital. Let’s look first at the practical problems with the Tories’ proposals. Housing associations have queued up to say that extending the right to buy to their tenants will discourage the construction of new homes: what housing association would want to build new homes that can then be bought by their tenants for less than they cost to build? And having a mixture of tenants and leaseholders – many of whom become buy-to-let landlords – in the same block creates all sorts of problems: high service charges for leaseholders, absentee landlords and their private tenants paying rents several times higher than the council tenant next door. Not to mention the economic madness of subsidising buy-to-let landlords through housing benefit, paid to their tenants living in homes that were built at public expense and then sold at a huge discount. As for the Tories’ proposals for local authority stock, since their manifesto launch there’s been a little more detail about what sort of property councils should sell off: those in the top third of most expensive homes overall in their local area. Unless this rule is interpreted very cleverly, it would mean all the large, family-sized houses in a council’s portfolio will have to be sold off as soon as their tenants move on. This would only make the housing crisis worse (in many areas, most large family-size houses have already been sold off under right to buy, making the remaining ones like gold dust). There’s also serious doubts about how these sell-offs will provide value for money for taxpayers: as usual spivs, accountants and lawyers will laugh all the way to the bank. Most local authorities are completely hopeless at disposing of, and getting top dollar for, their most valuable assets. Council property departments may be well-versed in handling right-to-buy applications and selling-off unglamorous brownfield sites – old industrial estates, car parks, garages and so on – but when it comes to selling off the most valuable family silver, most are all at sea. 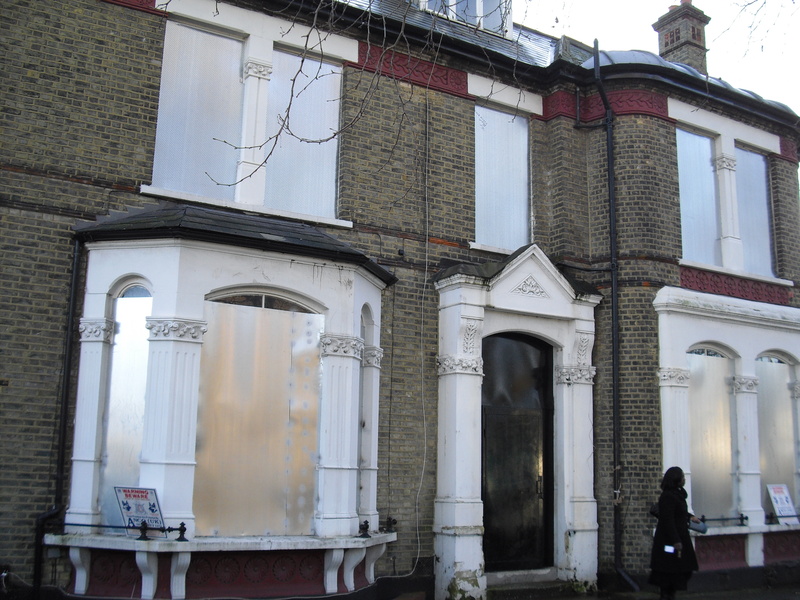 As a councillor in Greenwich I lost count of the number of times that I saw property disposals being cocked up, either by incompetence or political meddling. Surplus properties would often lie empty, crumbling into disrepair and damaged by squatters, for months or even years after tenants moved out. In one case, a large detached house was sold off for £1m but then sold on again by a developer for more than £2m only a few months later. 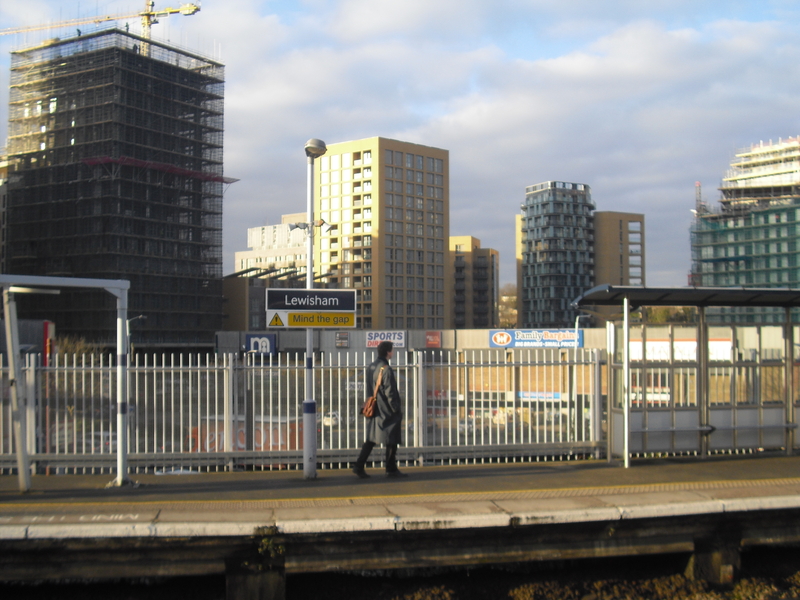 All over London, unscrupulous developers and speculators will be rubbing their hands together with glee at the Tories’ plans: if much of the best council housing in London and other expensive cities is due to be sold off, rich pickings indeed lie ahead. In theory, the proceeds of these sell-offs will fund the construction of new affordable homes on brownfield land, which will be less costly to maintain than those they replace. But the planning and construction process can take many months or even years. And while development on Brownfield land is fine in theory, in practice many of the most viable sites have already been developed: those that remain are often next door to noisy railway lines, motorways or unpleasant neighbours like sewage works, car breakers yards or rubbish dumps. Bt the problems with these proposals aren’t just practical ones. Turning all affordable houses and flats into assets that should be sold at a discount to their tenants, or sold to the highest bidder once they fall vacant, will further marginalise council housing, as Owen Jones has pointed out. It could, as Islington’s Housing chief James Murray has predicted, mean that huge swathes of London and other expensive cities end up without any council housing at all. The Tories’ policies suggest that affordable housing simply does not belong in expensive areas – pandering to the worst kinds of snobbery, NIMBYism and prejudice. During my 16-year spell as a councillor in the well-heeled London suburb of Blackheath I would sometimes be approached by sharp-elbowed, rich owner-occupiers living next door to a council tenant. They would often manufacture a bogus neighbour dispute over fencing or noise and then urge the council to move the tenant out and then sell them the flat or house (banking on the fact that the council would undervalue it): for some rich people in London, buying out your neighbours is a feasible solution to a dispute. If it becomes government policy that such homes should be sold off, expect more and more demands like this. Even if it hasn’t come up at the Leaders’ debates, thank heavens that Labour has finally started talking about Housing in the last two weeks of the campaign. Labour’s recent pledge to start to build a million new homes by 2020 is welcome and goes a lot further than original pledge to start building 200,000 homes a year by then. But overall far too little has been said about housing. Instead the usual mainstay of the NHS has been too dominant in Labour’s campaign. So far all three of Labour’s election broadcasts, and most of the leaflets shoved through letter boxes, concentrate on the NHS. It’s a great pity that Labour’s five election pledges – Balance the books; Freeze energy bills til 2017, 20,000 more nurses and 8,000 more GPs; a two-year rule for immigrants wanting to claim benefits; lowered tuition fees – could not have made room for a pledge on housing. The problem with talking about the NHS so much is that it doesn’t surprise, or even inspire. It may be an effective dog whistle to some of Labour’s core supporters – though it can sound more like a foghorn to many. To floating voters, Labour talking about the NHS is a bit like the Tories banging on about Europe: it’s so familiar it just amounts to white noise. Now that the Tories have pledged to spend more money on the NHS than Labour or the Lib Dems would, Labour is put on the defensive. No matter that the Tory’s pledge is uncosted and undeliverable: media coverage that should focus on Labour’s plans for the NHS instead focuses on the Conservative’s spending commitments, and why Labour hasn’t matched them. Labour’s policies to shake-up the private rented sector, build 200,000 new homes a year by 2020 – double the current level of homebuilding – and lean on developers to start building or lose planning permission are among the most-eye-catching in its manifesto. But they have not been given the limelight they deserve. Labour promised in 2013 to put Housing at the “front and centre” of this election campaign. It’s not too late to do so in the last five days. Labour should remember Gordon Brown’s biggest error – calling off a snap election in the autumn of 2007 because of a sudden pledge by George Osborne that he would raise the inheritance tax threshold to £1m. That would only benefit a tiny handful of households and disbenefit everyone else, just as the Tories latest wheeze to extend the right-to-buy would. If the party really has moved from New labour, as Ed Miliband constantly says it has, it should hold its nerve, speak up unashamedly for the common weal, and focus relentlessly on what a disaster the Tories’ housing policies would be. The party must stop being so defensive about the last Labour government’s mixed record on homebuilding, and have the courage to point out that the Tories’ latest announcements show they are stuck in the past and have run out of ideas. The emperor really has no clothes. This entry was posted in Uncategorized and tagged Conservatives, Elections, Greenwich, Housing, Labour, Politics. Bookmark the permalink.